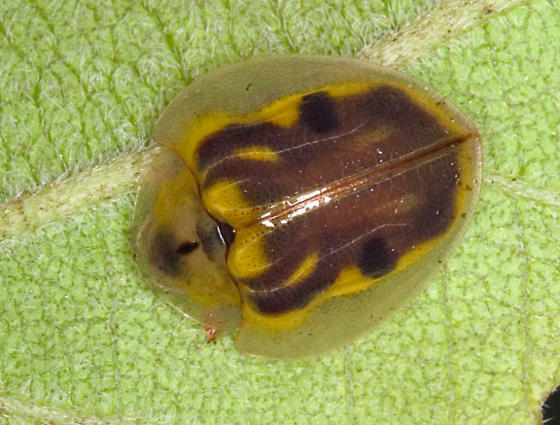 According to this website http://collier.ifas.ufl.edu/Horticulture/Geiger%20tortoise%20beetle.htm , this is a newly emerged adult, possessing a different color and pattern until the adult has dried to its gem like color. I fixed your URL mention, Alan. I converted it to an active link. Go into Edit to see how it's done.